Caribbean aircrew in the RAF during WW2 » Blog Archive » HAZELL – V.B. Viv Hazell served with 576 and 101 Squadrons as a Flight Engineer on Lancaster bombers based in Linclnshire in 1945. He flew with the crew of Squadron Leader Peter Sleight. My late father, F/LT Syd Dyson – Navigator, was also in this crew and my mother (also ex RAF) has mentioned Viv. I am currently researching my father’s wartime exploits and any info would be welcome. I have his full logbook but no crew lists. Only Sleight as captain is recorded. I have just found a photo of him in my late father’s war album. Max, it would be really great if you could post a photo of Viv Hazell. I have been studying 101 Sqn for many years now. You can contact me at alieneyesATyahooDOTcom, replacing the obvious. My name is Dominic James Hazell grandson of Vivian Benjamin Hazell RAF Jamaican second world war airman. My father Bryn Owen Hazell would like to know if he can get replacements of all the medals my grandfather won which have been stolen from his house in Wolverhampton. 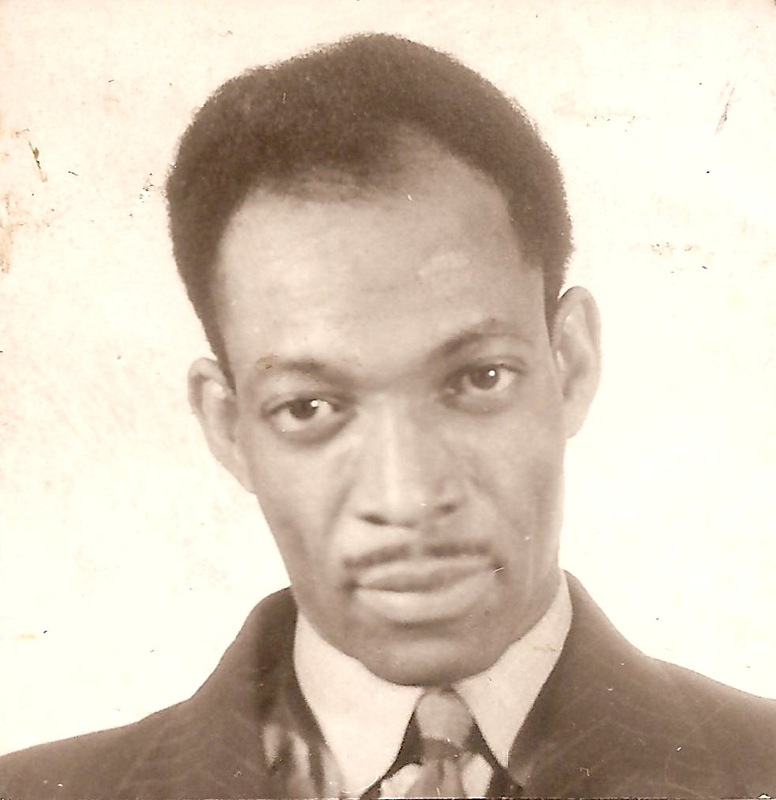 hello my fathers father was from st.elizabeth surname GREEN in jamaica all i know is that he was an raf pilot his son is aughbert everard green born 1942 does anyone know of him as i would like to tell his greatgrandson born2001 so he has a story to tell at school and be part of and proud of his contribution. Sgt Hazell is a West Indian who has completed an operational tour with this squadron throughout which he has displayed a constant spirit of determination and a high standard of keeness and efficiency. He is a steady and reliable NCO whose 28 sorties have been carried out on a wide variety of targets with a cool courage and tenacity of purpose worthy of high praise. Sgt Hazell is the Flight Engineer of a crew whose results have always been outstandingly successful and this has been in no small measure due to his ability. By his cheerful confidence and devotion to duty, this NCO has set a splendid example to his comrades and it is recommended that his record of achievement be recognised by the award of the Distinguished Flying Medal. Sgt Hazell has displayed a highly praiseworthy courage and devotion to duty throughout his first operational tour. His efficiency and skill combined with his fearlessness in action have earned for him the respect and confidence of all members of his crew and, indeed, of the whole squadron. I regard his untiring ability and the commendable record of achievement as fully worthy of the reward by the award of the Distinguished Flying Medal. From 1956 until 1962 I was an apprentice in a printing office just off Oxford St.
During that time Viv was working in the machine typesetting dept. as a Linotype operator. He was fond of writing poetry, and quite often he would recite some of his work. We all knew that Viv had served, with distinction, in Lancasters. Quite often I tried to get him to talk about it, to no avail. In the meantime, we all know more about those brave men, many of whom never came back and, I suppose, those that did were glad to put it behind them and get on with their lives. For Viv this must have been doubly difficult with all the prejudice that was rife those days. Did he stay in England or did he go back to the sunny West Indies? My late father was the Rear Gunner with Peter Sleight’s crew on 101 Squadron in 1945. Sleight was a Squadron Leader, and he personally hand-picked this crew. All of the men in this crew had previously completed at least one Tour of Operations comprising approximately 30 missions. My late aunt told me that my father took Viv home to meet his parents and siblings when on a short leave pass. They were obviously good pals. I have done some research about your grandfather. Before joining the RAF he worked for a newspaper, the Kingston Gleaner. They published a couple of articles about him. I have copies of these articles, which you may like to see. I am over the moon to hear about you all! I am compiling the complete history of 576 Sqn (my dad, Flt Lt GAJ Wood, DFC, AFC, was a pilot on 576 in 1944) for a forthcoming 576 Sqn website and book, and would like to learn/share everything I can about your fathers/grandfather: I have a lot of info for you but am always looking for more! I would very much like to get in touch with Dominic Hazell, Peter Taylor, and Max Dyson. You can reach me at mattDOT576sqnATgmailDOTcom.